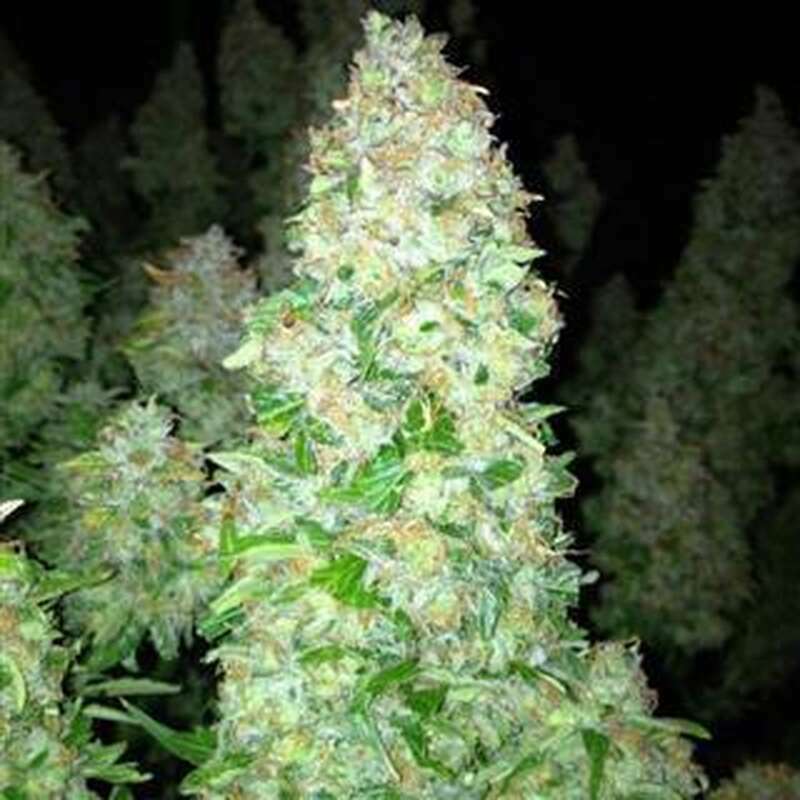 Auto Mazar is an autoflowering variety and a 100% indica in all aspects, both in effect and in quantity. Auto Mazar originated from a cross between the original Mazar, an unknown Indica and Ruderalis, to give the final plant these autoflowering characteristics: high performance, productivity and mild taste. This is a typical indica plant that grows to about 70-80 cm tall and grows in a strong and compact way, developing large leaves and enormous sticky resin buds. It is easy to grow and resistant to diseases and pests and is suitable for both indoor and outdoor crops. So you have guaranteed a generous and early harvest in the summer. Auto Mazar takes just 11 weeks to get an excellent result of about 50-125 g per plant. In some open land cultivations in southern latitudes, this production can increase to 200 or 300 g per plant. If you smoke Auto Mazar, your mouth will be overdone by a pronounced, earthy indica taste, and you will be hit with a relaxing, powerful and long-lasting effect. A great specimen for all Indica lovers.